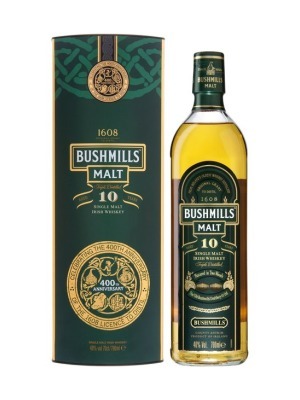 Bushmills 10 Year Old Whisky is a popular Irish Whiskey available from Amazon.co.uk in 70cl to buy online. Visit Amazon.co.uk for the best price for 70cl of Bushmills 10 Year Old Whisky or compare prices on our other Irish Whiskey products. Bushmills Malt has a honeyed spicy scent with overtones of Oloroso sherry, vanilla. 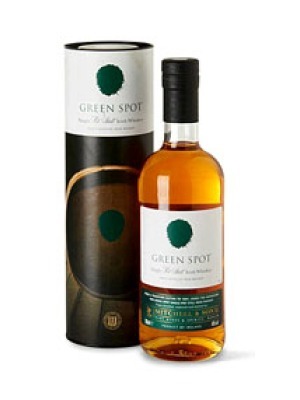 It is characterful and complex; mild, but nonetheless has an opulent, malty persona, not overlaid by any strong peaty/smokey notes so typical of most Scottish malts. Smooth on the tongue with a slightly sharp end. Where to buy Bushmills 10 Year Old Whisky ? Bushmills 10 Year Old Whisky Supermarkets & Stockists. You can buy Bushmills 10 Year Old Whisky online in most retailers and find it in the Irish Whiskey aisle in supermarkets but we found the best deals online for Bushmills 10 Year Old Whisky in Amazon.co.uk, DrinkSupermarket.com, TheDrinkShop, and others. Compare the current price of Bushmills 10 Year Old Whisky in 70cl size in the table of offers below. Simply click on the button to order Bushmills 10 Year Old Whisky online now.